^ Hakim, Joy. A History of Us: War, Peace and all that Jazz. New York: Oxford University Press. 1995. ISBN 0-19-509514-6 （英语）. ^ Rijmenants, Dirk. 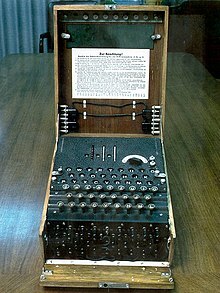 Technical details of the Enigma machine. 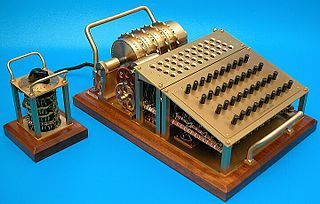 Cipher Machines & Cryptology. 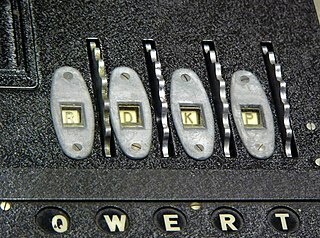 [2009-01-26] （英语）. 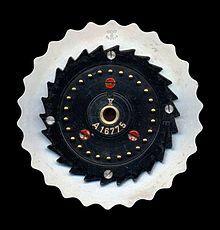 ^ David Hamer, "Enigma：Actions Involved in the ‘Double-Stepping’ of the Middle Rotor," Cryptologia, 21（1）, January 1997, pp. 47–50, 在线版（PDF） 互联网档案馆的存檔，存档日期2011-07-19. 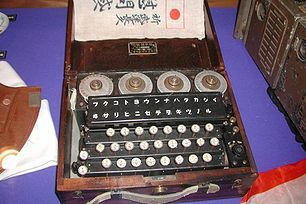 ^ The translated 1940 Enigma General Procedure. 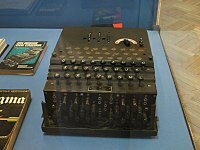 codesandciphers.org.uk. [2006-10-16]. 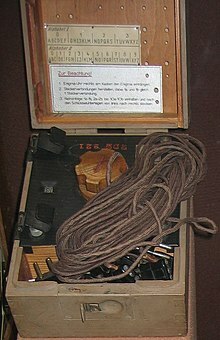 ^ The translated 1940 Enigma Offizier and Staff Procedure. 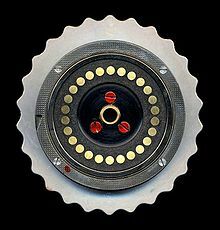 codesandciphers.org.uk. 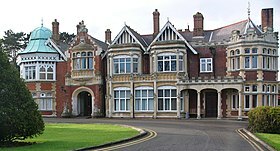 [2006-10-16]. ^ Winterbotham 2000, pp. 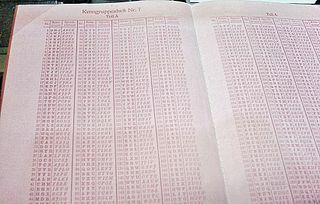 82–83. ^ Calvocoressi 2001, p. 94. 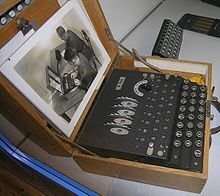 ^ image of Enigma Type B. （原始内容存档于2005-10-21）. ^ Kahn（1991, p. 43）says August 1934. Kruh and Deavours（2002, p. 15）say October 2004. 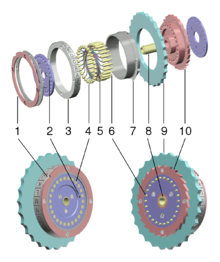 Bauer, 2000, p. 108, Bauer, 2000, p. 112 . 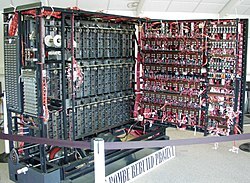 （德文）Ulbricht, Heinz; Die Chiffriermaschine Enigma—Trügerische Sicherheit: Ein Beitrag zur Geschichte der Nachrichtendienste, PhD Thesis, 2005（in German）. Online version (PDF). 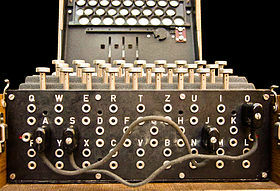 Marks, Philip; Weierud Frode; Recovering the Wiring of Enigma's Umkehrwalz A; Cryptologia 24（1）, January 2000, pp55–66. 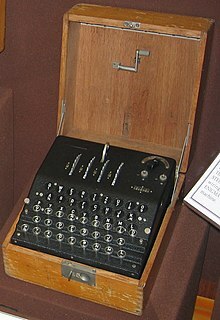 Christine Large, Hijacking Enigma, 2003, ISBN 978-0-470-86347-3. 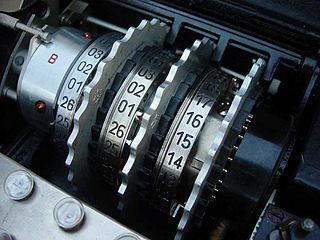 Philip Marks, "Umkehrwalze D: Enigma's Rewirable Reflector—Part I", Cryptologia 25（2）, April 2001, pp. 101–141. 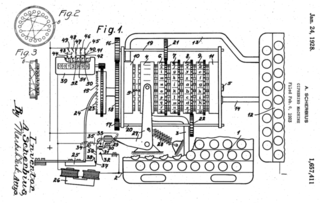 Philip Marks, "Umkehrwalze D: Enigma's Rewirable Reflector—Part II", Cryptologia 25（3）, July 2001, pp. 177–212. 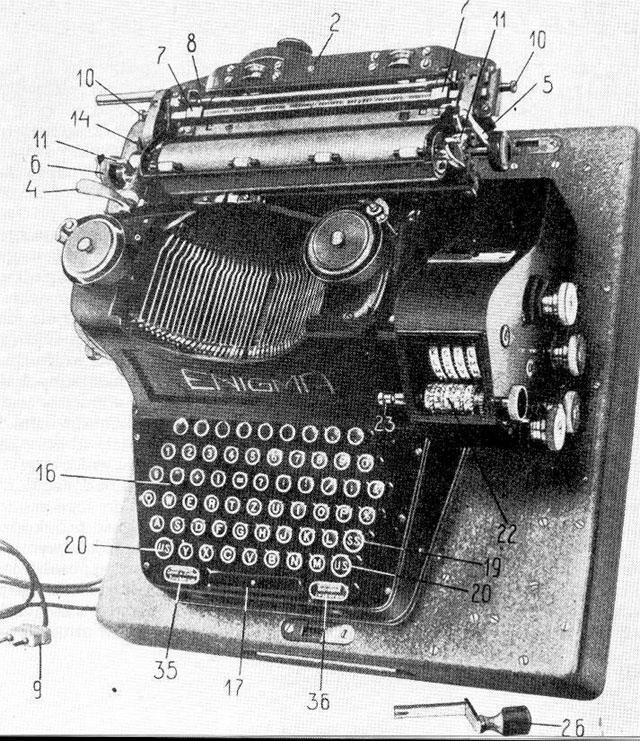 Philip Marks, "Umkehrwalze D: Enigma's Rewirable Reflector—Part III", Cryptologia 25（4）, October 2001, pp. 296–310. Tom Perera, The Story of the ENIGMA: History, Technology and Deciphering, 2nd Edition, CD-ROM, 2004, Artifax Books, ISBN 978-1-890024-06-2 . 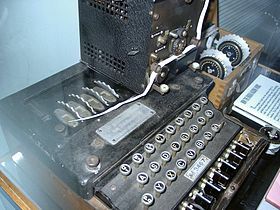 Arturo Quirantes, "Model Z: A Numbers-Only Enigma Version", Cryptologia 28（2）, April 2004.